The new AeroPower Blade embodies the next level of MK-dent cartridge innovation coupled with proprietary laser balancing technology during manufacturing, the Classic Line delivers reliable power during the most challenging scenarios. Next-gen carbide bur guide with Perfect concentricity, and unrivaled retention force. The world of drilling would not be the same without carbide. Pressed with 12 tons of pressure and heated to 1,500 °C, carbide is so hard, industrial diamond — the world’s hardest material — is used to grind it. Perfect concentricity and unrivaled 40 N of retention force improve long-term precision during operations. Reverse flow protection with Endurance from start to finish. 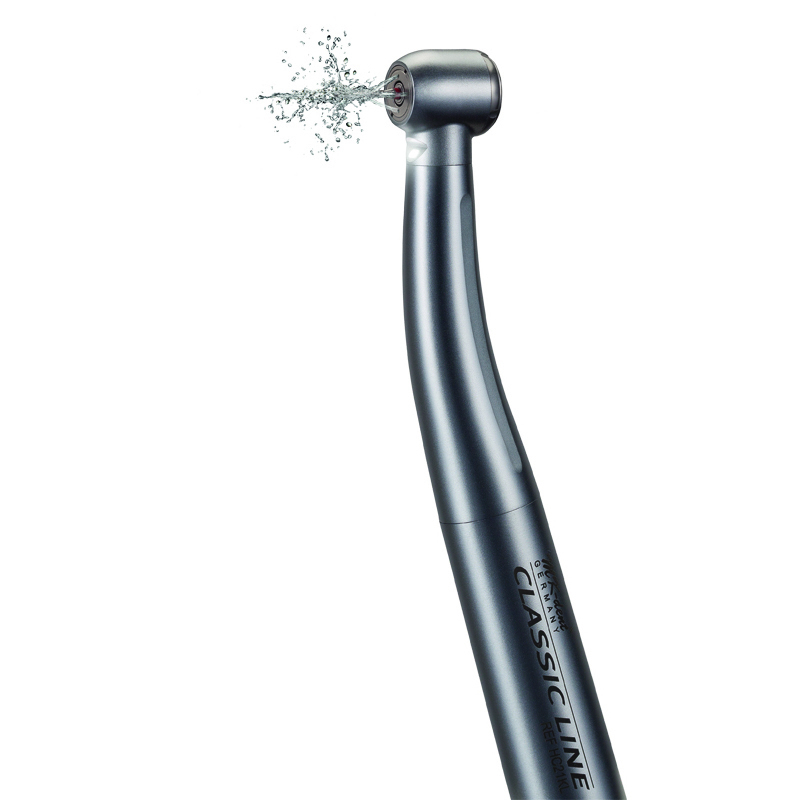 The non-return system for reverse flow protection has been part of the Classic Line from the beginning. It’s an entire system fabricated onto a single component, vastly minimizing the entry of particles and contaminants into the head. With endurance from start to finish line, it is designed for optimized cleanability. Dental bearings face the most extreme conditions: Particularly high rounds per minute, attacks by superheated steam or various cleaning fluids. Paired with a corrosion-resistant cage as well as the remarkably refined formula of the lubricant, the ceramic balls will have a long journey ahead of them. The exterior design incorporates beautiful materials throughout the body and an exquisite chrome finish. From the curved corners of the Classic Grip to the firm pressure on the push button, every detail has been considered to emphasize the turbine‘s strength, giving the AeroPower Blade a powerful stance. It is vital that you can be assured that your dental instrument is performing to its maximum potential and is adhering to European Health and Safety Standards. Here at Handpiece Harry we are providing safety assessments FREE of charge. All components oiled and lubricated with quality Synthetic oil. Clear and concise feedback to your designated handpiece care person. Free track and trace courier back to your practice. All our service and repairs are completed by experienced factory trained technicians. 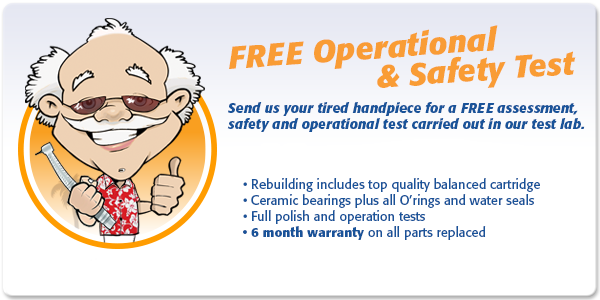 More good news………Its FREE to new and existing customers. Just send in your handpieces now. Welcome to our brand new website and online shop where you can buy Handpieces or get them Repaired as well as have your general Dental Equipment Serviced also.